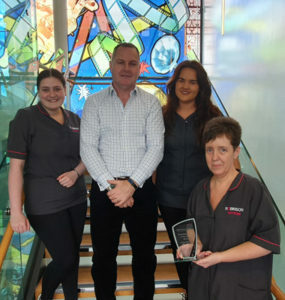 Robinson Services Cleaning staff at key sites across Northern Ireland have been on tender hooks for the past number of months since the shortlist for the Robinson Services Cleaning Store of the Year 2018 were announced from over 1,000 sites that Robinson Services currently manage the cleaning services for throughout the Province. These awards covering both large and small site categories were nominated by the Operations Managers who continually drive standards of maintenance upwards across each of the sites that they manage. 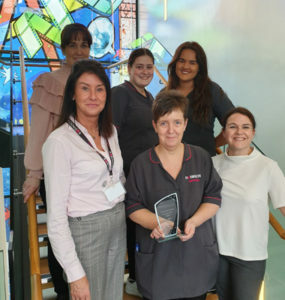 Once the shortlist was drawn up it was then up to HR Director Sinead Sharpe to personally visit each site over a 3 month period and who then was faced with the difficult task of selecting the winners. David Robinson, Managing Director at Robinson Services, commented; “Within any sector of Robinson Services it is critical that all staff are trained to the highest standard and our cleaning staff are no exception. Our Operations Managers are to be commended for all their efforts in maintaining standards in every location they manage as they ensure that all of our employees on site, remain of the highest calibre and are recognised as leading service providers within the support services industry. Our employees are our most important asset and considerable time and resources are devoted to training and retaining the right people. We pride ourselves on our training and these awards are positive proof that training yields the positive results we and our customers require. Hot on the heels of Human Resources Director, Sinead Sharpe being awarded a Fellowship of the Chartered Institute of Personnel & Development (CIPD) comes more recognition for the HR Division at Robinson Services as they are shortlisted for two categories in the CIPD NI Hr Awards 2019 which celebrates the best in HR and people management in Northern Ireland. The CIPD NI HR Awards are the most prestigious and highly regarded awards for the HR profession in Northern Ireland. Now in their seventh year the Awards are celebrating the contribution of HR and People Management in business. From Employee Engagement to Organisational Learning and Development the awards celebrate not only innovation and success, but the impact this has on the bottom line too! With a judging panel consisting of top HR and Business professionals from a range of organisations across the UK the judging criteria ensures only the best entries make the shortlist for 2019. This award recognises HR and L&D teams for their work within the function and their business partnering with other functions. Entrants should give evidence of clear links between operational and financial performance, metrics and evidence of satisfaction. The entry can include specific projects and also demonstrate the function’s collaborative approach and ability to attract and develop excellent HR in people. This award recognises HR leadership that has demonstrated excellence and impact across the organisation to achieve business success. Entrants will highlight their innovative and unique approaches to addressing business issues and providing a sustainable solution that contributes to the success of the organisation. This entry will illustrate teamwork, a willingness to challenge and a strategic approach to HR/L&D with a quantifiable contribution to organisational achievements. It will demonstrate collaborative working across organisational boundaries along with operational excellence in execution. There can be evidence of upskilling, development and modernisation of HR to align with the needs of the organisation. As 2018 becomes more of a memory the contract wins in 2019 for Robinson Services just keep on coming. The latest win is the cleaning contract for the Charles Hurst Jaguar Land Rover (JLR) Retail Unit in Boucher Road, Belfast. Charles Hurst invested more than £7.5 million to create a brand new, luxury Jaguar Land Rover Retail Unit in Belfast creating multiple new jobs and the new showroom, which features metallic cladding on the exterior, alongside frameless glazing, houses the new ‘Arch Concept’ currently being rolled out by Jaguar Land Rover around the world. The new futuristic space displays more cars, is filled with high-end materials and includes enhanced lounge-style waiting areas, an interactive ‘kids zone’, free wi-fi and a coffee bar. With dedicated handover bays created at the split-level showroom and a new high-tech drive-in service centre also incorporated into the stunning new site this showroom is one of the most striking car showrooms throughout the UK. 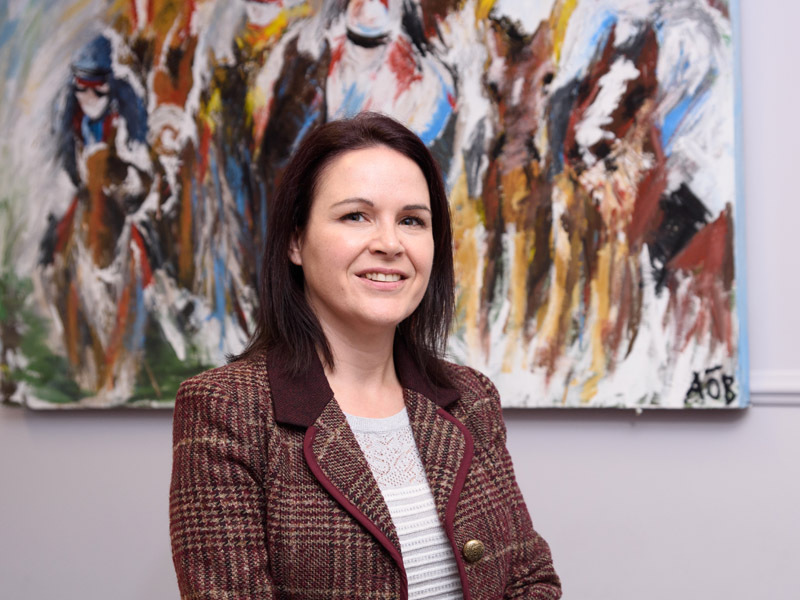 Congratulations were in order within Robinson Services offices recently when it was confirmed that Human Resources Director, Sinead Sharpe, has been awarded Fellowship of the Chartered Institute of Personnel & Development (CIPD). The CIPD is the main professional association for human resource management professionals. Chartered Fellow status recognises a select group of senior HR professionals and offers the opportunity to engage in debates which shape and influence government policy agendas; with a focus on building the Northern Ireland workforce via lifelong skills and training. “Everyone at Robinson Services were delighted to hear news of this significant award for one of our Senior Management Team. Sinead achieved this status after an intensive 2-month assessment and richly deserves this recognition, given her commitment to the development of others and the wide impact of her work throughout the business. The Laundry Division of Robinson Services have installed a brand new £500,000 state of the art ironing machine in their Antrim premises capable of doubling their current output as the business continues to grow. David Robinson, Managing Director commented: “We needed to invest further in our laundry division with the installation of this second ironing machine which provides additional capacity and an exceptional finishing standard for our growing customer base. 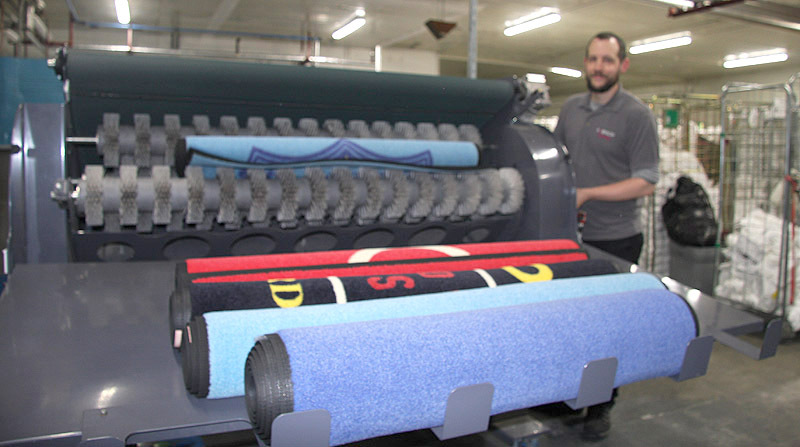 This additional new machine achieves both these objectives and despite a size of 3 metres wide and 60 feet in length we accommodated this easily at our state of the art laundry division in Antrim. Things are looking bright for the Laundry Divison of Robinson Services with another bright idea. Hot on the heels of significant investment in a new mat rolling machine and an additional ironing machine comes the installation of a new laundry lighting system. Using Robus LED lighting systems supplied by City Electrical Factors and installed by BSH the new system comes with a 5 year warranty and will mean a reduction in greenhouse gases by 43.75tonnes per annum, a significant reduction in maintenance and a reduction in energy costs by 50%. There was plenty to celebrate for Robinson Services at the British Institute of Cleaning Science Cleaning Operative of the Year for 2018 as Martina McAleer from Foyleside picked up the Top Award as Cleaning Operative of the Year 2018 after also winning the Retail Sector award. Congratulations are also due to to Robinson Services employees Wahida Tigiourt, Linda Curry and Richard Rodgers who also made it through to the British Institute of Cleaning Science Cleaning Operative of the Year for 2018 in the Education and Retail Sectors in Northern Ireland. Pictured left to right: Clarence Hills , President NCU, Nigel Jones Captain CIYMS and David Robinson, Robinson Services. CIYMS have won the country’s biggest cricket league which is sponsored by one of the country’s biggest employers. Robinson Services after defeating CSNI at Belmont last night by 42 runs. 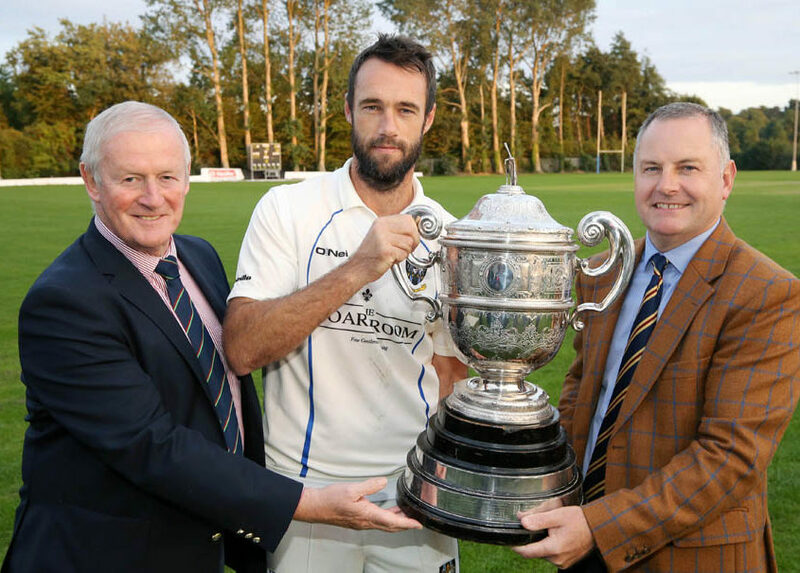 Robinson Services are one of Northern Ireland’s largest Support Services providers with its Head office in Antrim and other satellite offices in Belfast and earlier this year announced it was lending its name to the Northern Cricket Union’s Premier and Senior Leagues in a sponsorship deal over the next three years. 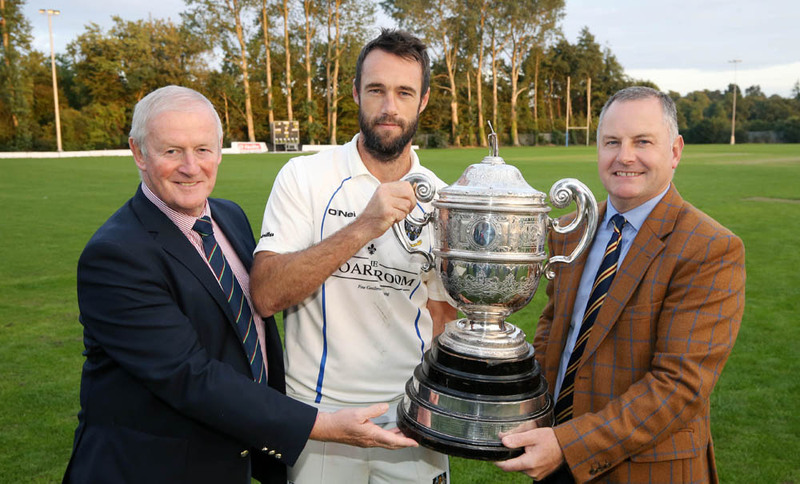 Robinson Service also sponsor the awards to players who score a century, take six wickets or perform a hat trick. “We would like to congratulate Nigel and all the team at CIYMS on this success in this inaugural year of our three year sponsorship agreement. Their performances on the cricket field have been exceptional and they are very worthy winners. 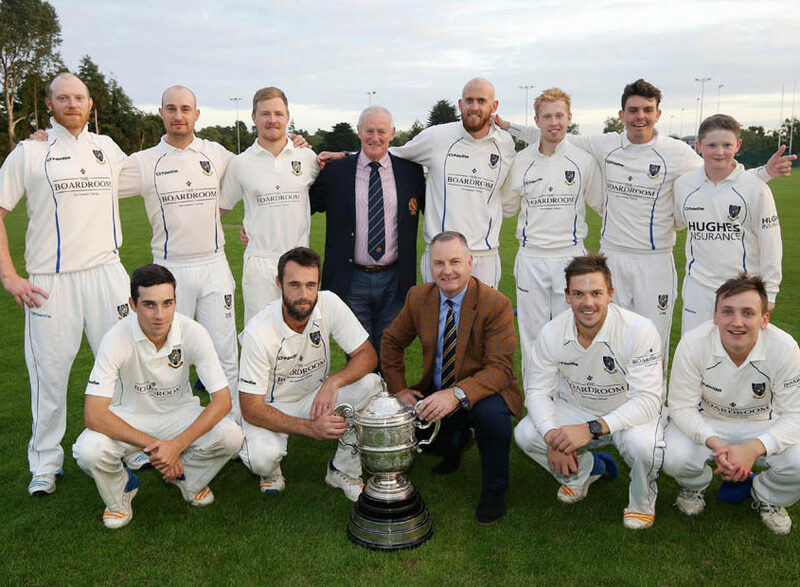 We are very much looking forward to seeing if they can repeat this success next year but as we know everyone wants to beat the champions so they will once again need to bring their ‘A’ game to retain the trophy. 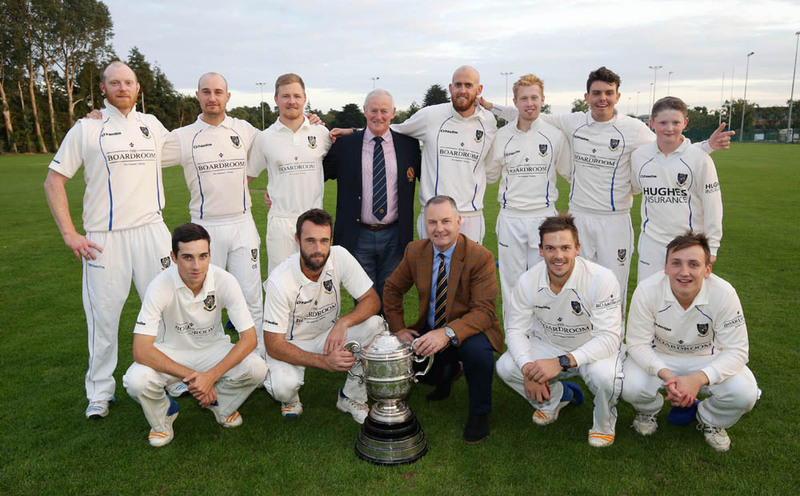 A word of thanks also to everyone at the NCU and president Clarence Hills for working with us on this sponsorship agreement and we look forward to working with them over the next two years “.